We met Josh Parnell in Feb 2011 while house hunting for our first home during our assignment to Langley AFB, VA. Josh piloted our purchase of a difficult short sale, transitioning my family from renters to home owners! He left a lasting impression. When we received an assignment to Texas last winter, Josh was our only call sell our home. He has as always been responsive to our questions and sincere in providing priorities/recommendations to resolve issues within our budget. We are very grateful for Josh’s time and energy during both the purchase and later sale of our home in Virginia. Josh was an absolute blessing in our home buying process! After several doomed attempts to purchase a short sale home in California, I had completely soured on the idea of ever considering a short sale again. Our dream home came on the market in Norfolk as a short sale we had to jump at the opportunity despite out trepidation. Josh assured us he had experience with short sales and my husband and I decided to make an offer. Josh explained the process every step of the way. He answered all my questions, he was prompt in communicating information to us, and he was an absolute professional. We had a very touch and go situation because the seller's bank gave us a very short timeframe in which to close. Josh coordinated things expertly, making the process as painless as possible. He is a true gem of a realtor and I would not hesitate to recommend him to my friends and family in the area. He's brilliant at listening to your needs and he goes above and beyond to make things happen. Josh was excellent from the start. From day 1 he was open and honest about what our options were. He was also very knowledgable about the locations he was presenting. He took the time to find what we were looking for. Within a month he found us a home with all of our requirements. He was very helpful in the negotiation process and is still helping us after closing. He is a great guy and I would definitely recommend him to everyone looking for a great realtor. My wife and I were given Josh's name and heard that he was a fantastic realtor to work with, especially for first time home buyer's. I called Josh, and he instantly put our minds at ease, with the entire process of looking and buying our first home. Josh always kept in touch and was always available day or night to answer any questions. Our goal was to find our forever home, and Josh made that happen. He really listened to us on what we were looking for, and he guided us through this process with his knowledge and expertise. Josh is a top-notch realtor, who really excels at his profession. My wife and I will exclusively recommend Josh to anyone looking to purchase a home. Thanks again for everything Josh! Josh made selling our home very comfortable. From the initial inquiries about the state of the local market up to the final details surrounding the closing process, Josh answered all of our questions and assuaged all our worries with a confident humility. Most of all, we always knew that Josh gave our interests top priority. As first time homebuyers- this was definitely a learning process for us. Josh was very knowledgeable and patient as we went through the journey of finding our new home. He took the time to show us every listing we wanted to see and made sure we looked at each opportunity as an investment. We ended up getting exactly the home we were looking for, and his contacts were top notch. Josh was great to work with through the house hunting experience - he was professional, responsive, and kept a stressful process as stress-free as he could. We will definitely work with him again. I would (and have!) happily and whole-heartedly recommend Josh to anyone. He was great throughout the entire process. Always professional, responsive, and patient, Josh made buying my first home a great experience. But even after the sale, Josh continues to impress. To this day I still email Josh for recommendations for plummers, carpenters, and contractors. Even though the sale has been completed for months, Josh always responds with quality information in a timely manner. Most definitely would, and have recommended. Every question I had, Josh had the answer. Josh is honest, strait forward, and will definitely help me sell any other property I would have to sell in the future! Josh was able to get an offer on my house in less than 2 months of listing it - well below the average for the price point. The offer was accepted, very close to asking price. I found Josh to be honest and direct and attentive to any questions or concerns I had. He went above and beyond any realtor I have ever worked with when it came time to closing, including making appointments and calls on my behalf. He was also in attendance at the inspections and the walk-thru, representing my best interests. I highly recommend working with Josh Parnell. After being on the market for 6 months without any offers, we made a change in agents to Josh. He was able to have my home under contract & closed in 5 weeks. He was awesome to deal with & was very responsive to any of my questions in a very reasonable amount of time. I would highly recommend Josh's services to anyone in need of a real estate agent! Josh is very professional. He really listens to what you want and helps you find the place that's perfect for you. He was very patient with us -- working with us a couple of years until we finally found the place that was right for us. He would give us honest and experienced opinions -- telling you the pros and cons as he sees them. His focus was always to do what we wanted to do and to provide the assistance to help us achieve our goals. Also, he is very nice, positive and personable, so it's a pleasure to work with him. I would highly recommend him. We have worked with several real estate agents over the years, and he is definitely one of the best that we've ever seen. My experience with josh was amazing! From the beginning he listened to what I was looking for and immediately comprised a list of possible houses for me to look at. Josh worked around my schedule not his, to show me all the houses I was interested in. after only a short time I found a place that I wanted. Josh brokered an amazing deal, and I got into my place for a lot less than asking price. even after everything was final for months if I had a question all I had to do is call and ask josh, he would either answer my question or tell me how to get in contact with someone who could. If you want an awesome home buying experience, that is easy and stress free, I highly recommend Josh Parnell. 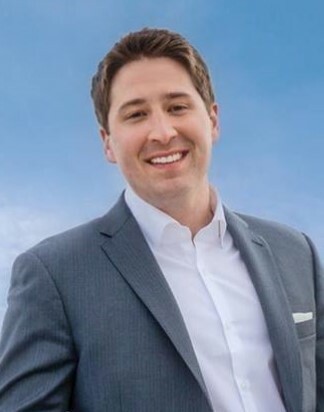 "Met Josh Parnell in Feb 2011 while house hunting for our first home during our assignment to Langley AFB, VA. Josh piloted our purchase of a difficult short sale, transitioning my family from renters to home owners! He left a lasting impression. When we received an assignment to Texas last winter, Josh was our only call sell our home. He has as always been responsive to our questions and sincere in providing priorities/recommendations to resolve issues within our budget. We are very grateful for Josh’s time and energy during both the purchase and later sale of our home in Virginia"
"Josh sold our house very quick! Josh is very professional and honest and his utilization of Social Media was great. If you are in the market to sell or purchase a home in the Virginia Beach area I would highly recommend Josh. If we buy or sell again we will be using Josh Parnell." regional knowledge for the Tidewater area. We'd use him again in aninstant." “Josh not only sold our house for our full asking price, but had our house under contract within one day of listing. He was very helpful every step of the way, ready to answer any question or concerns that we had. He also hand selected our new house. It checked all of the boxes on our want list, and was at a price that we were comfortable with. Josh is sharp, honest, and very knowledgeable of the area." “Josh went out of his way to find the perfect first home for our family! He was very attentive to our needs and answered all of our questions with confidence. Josh kept us up to speed throughout the entire process and made us feel comfortable about our desicion." “Josh went above and beyond the call of duty for all of our realtor needs! He was there when we needed him and then some. He was always very timely for all of our appointments and helped us find the house of our dreams! He helped us find inspectors for our home inspection, a title company. During our house hunt, Josh helped us with mortgage questions and eased my worries while going through a grueling home purchase process with our mortgage company. After his job was complete and we were the owners of our new home, he continued to help us with mix-ups with the mortgage company and title company. If it was not for Josh, I would have had to spend much more time dealing with issues that I did not understand. Josh made every step of buying a house a smooth operation! “We just used Josh to buy our first home and he was fantastic through the entire process. He had wonderful knowledge of all the areas in which we were interested in living and made great suggestions about houses we should see. Once we found a house, Josh was invaluable in negotiating the price and explaining all aspects of the home inspection. Perhaps the best part of Josh's representation was that he was available to us at all hours of the day and night. We will recommend Josh to all our friends and family."